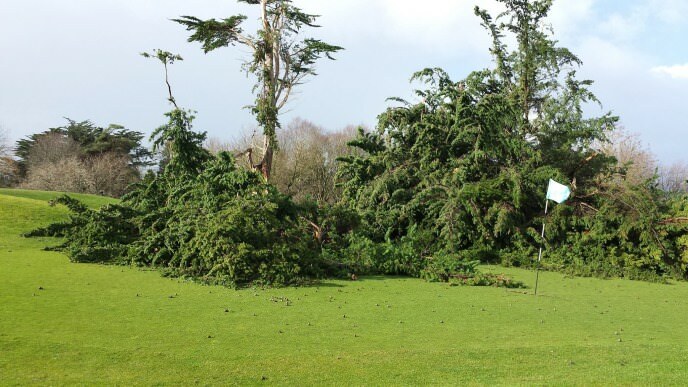 As you may or may not know, Limerick Golf Club (my home club in Ireland) suffered some horrendous damage recently with over 300 trees down all over the course. The course itself has been closed since and is due to re-open soon. A huge clean up effort has already taken place and as I look on from Ghana I wish the course and club the very best to get the course back as soon as possible. I will definitely call in to see how things are going when I return for a break back home in April. All the best for now with everything! There was little or no damage to Club buildings other than the boundary walls and fencing. 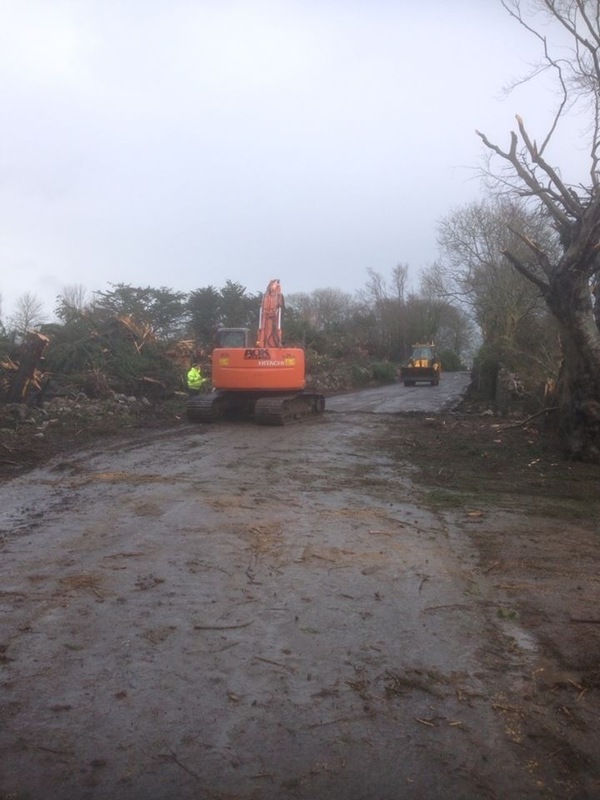 The major damage impacted holes 1-6 where all large groves are practically cleared and many significant boundary trees levelled. Holes 7-18 structure and layout has fundamentally remained intact with significant damage to groves and many large individual trees. 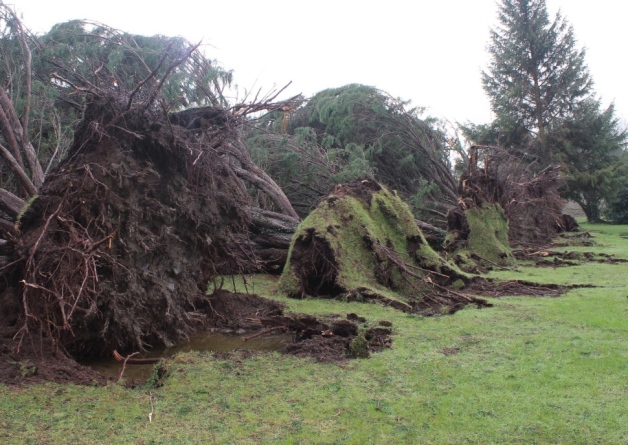 However, some of the significant trees are still standing and holding their strategic positions. Nine holes will reopen tomorrow (Thursday 6th) with play commencing at the tenth tee. 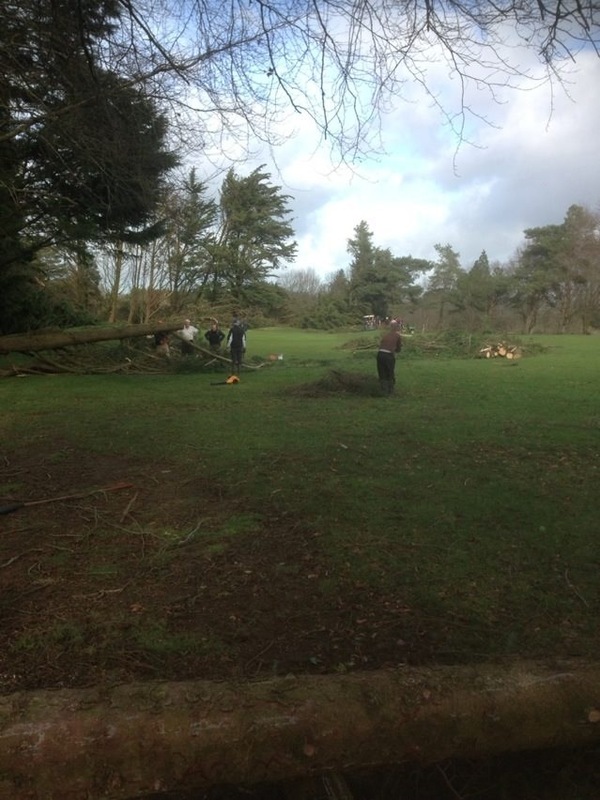 Work has commenced on the first seven holes and volunteers will be needed in the coming weeks to again clear the loose debris. Thanks to everyone who have given so freely on their time over the last number of weeks and also to those who have supported the Club by using the Bar and Catering, it is greatly appreciated. Golf for Limerick Golf Club members is available at the following Courses – Adare Manor (€15), Castlegregory (€10 Mon-Fri), Castletroy (€10), Charleville GC (€10), Esker Hills (€10), East Clare (€10), Nenagh (€15), and Newcastle West (€10). Why not have your lunch in the Clubhouse this Saturday and watch IRELAND V ITALY, kick off at 2.30 pm and from 2.00pm to 5.30pm a pint of Carlsberg will be €2.50!! I know where I’d like to be on Saturday!